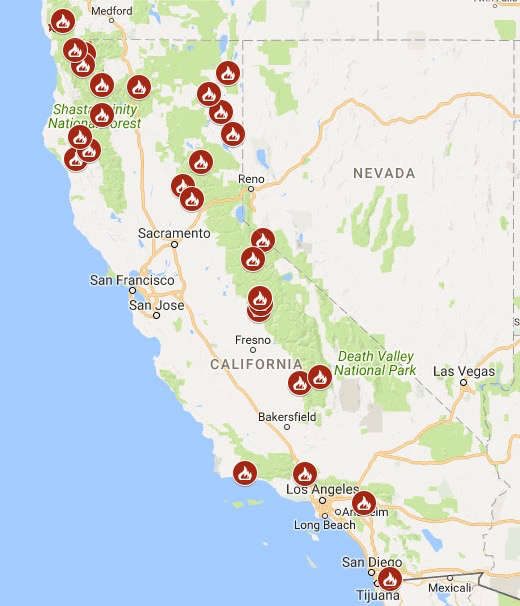 Active fires in California as of Sep 1, 2017. There have been 30% more individual fires this year in California than there were last year. Many more in Oregon and up into Canada. A few have been near our place in Nevada City. Multiple regions experianced disaster level flooding in the past two weeks. South Asia (40 million people affected), Nigeria, and Texas. Update 9/1/17: San Francisco just had its hottest day ever. 106 degrees.